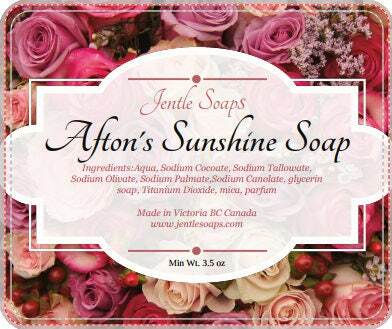 Afton's Sunshine Soap is a very special soap. 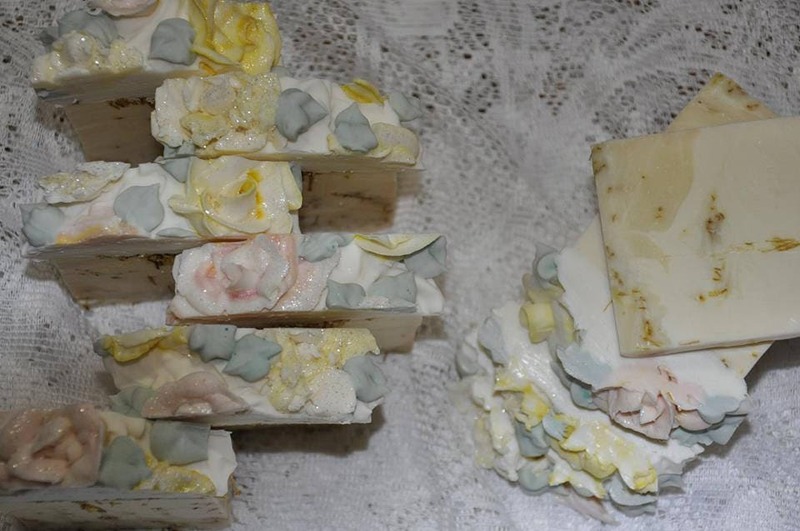 It was my mother's favorite soap and I made it for her every year for over 25 years. 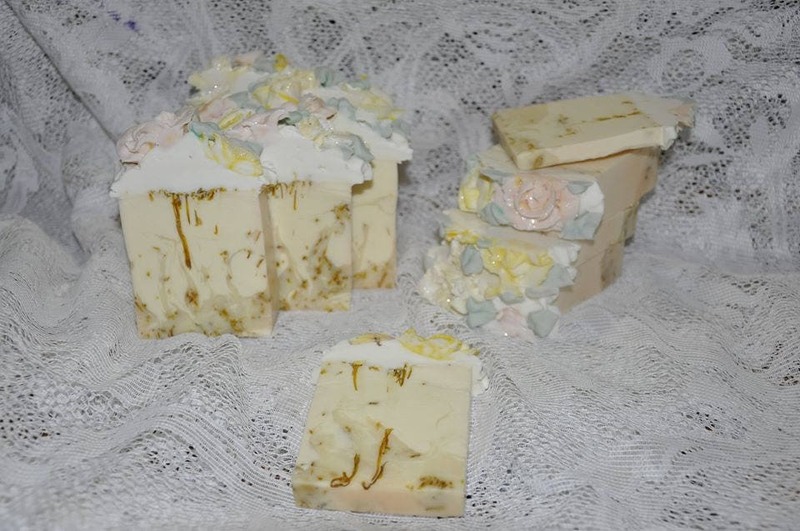 For my launch into Jentle Soaps this soap has gone through a makeover and sports Afton Diemart's favorite flowers, multicoloured roses. She had a rainbow of roses in her garden and my father would buy them for her on special occasions. Afton's sunshine is a blend of essential oils we formulate in house with strong notes of lemongrass and just a touch of patchouli. Calendula petals are abundant in this bar and I've decorated the high top with hand piped roses and leaves. 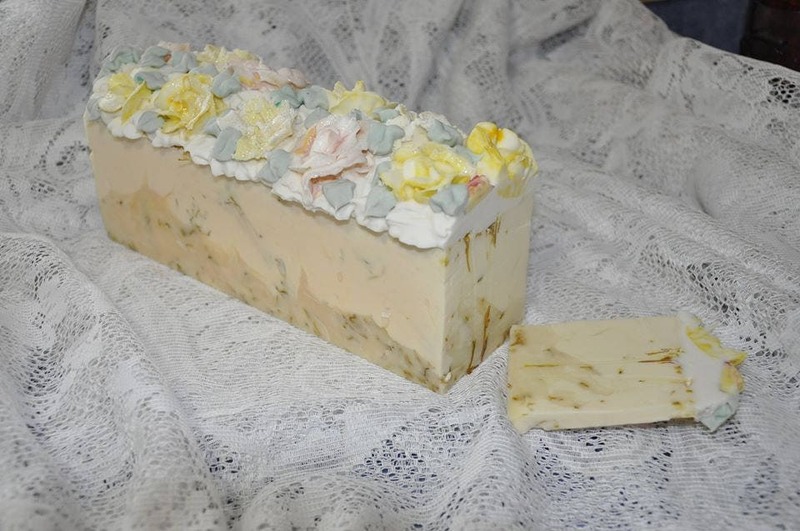 This is one soap that we will strive to keep in the shop but will change a bit each time.